CORTLAND ULTRA PREMIUM FLUOROCARBON TIPPET MATERIAL – Invisible in the water with SUPER STRENGTH. 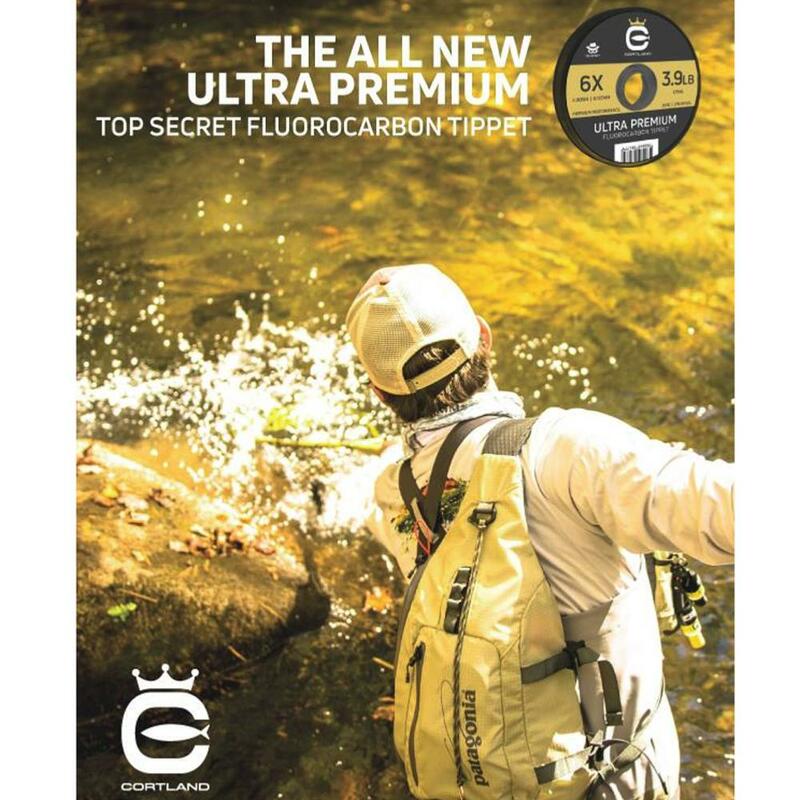 Cortland’s new "Top Secret” Ultra Premium Fluorocarbon tippet material is now available to the public after over a year of field testing by leading industry professionals, guides and competitive fly fishers. 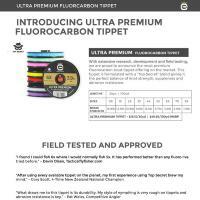 The reviews all read the same, "Best tippet material I’ve ever fished.” It’s formulated with a special one-of-a-kind blend giving it the perfect balance of knot strength, suppleness and abrasion resistance. Compare its strength / diameter numbers to what you’re using now, it’s shocking! Cortland Line Company introduces its new Ultra Premium Fluorocarbon Tippet offering. With extensive research, development and field testing, this blend of fluorocarbon features a perfect balance of knot strength, suppleness and abrasion resistance. 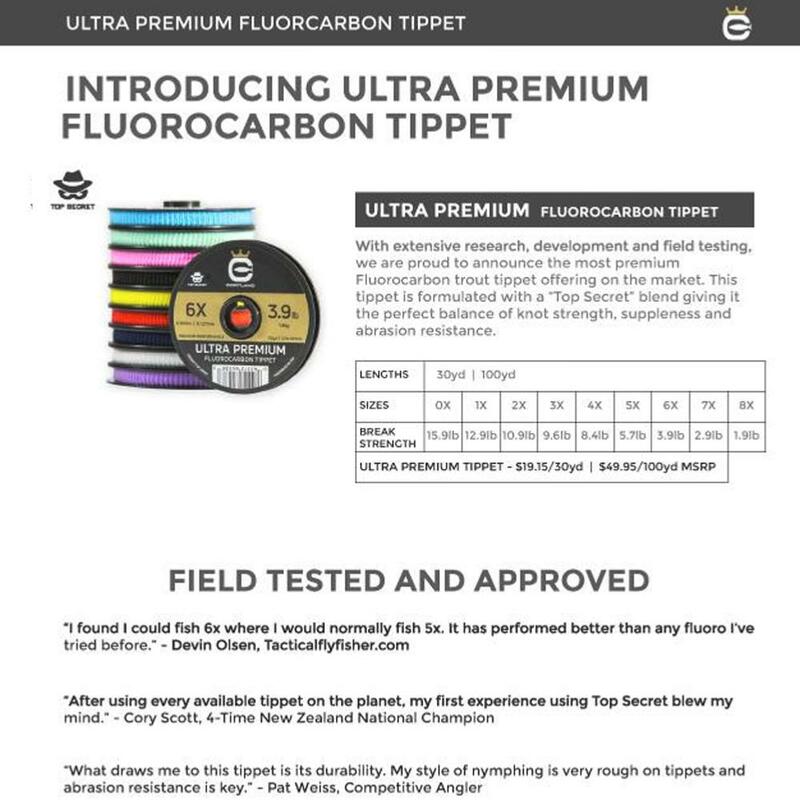 The Ultra Premium Fluorocarbon Tippet has a "Top Secret” formulation of materials giving it extremely forgiving properties when fighting big fish on light tippet. Stronger, thinner, softer and finished for optical quality clarity, this creation of next level fluorocarbon has been developed with some of the greatest minds in fly fishing. 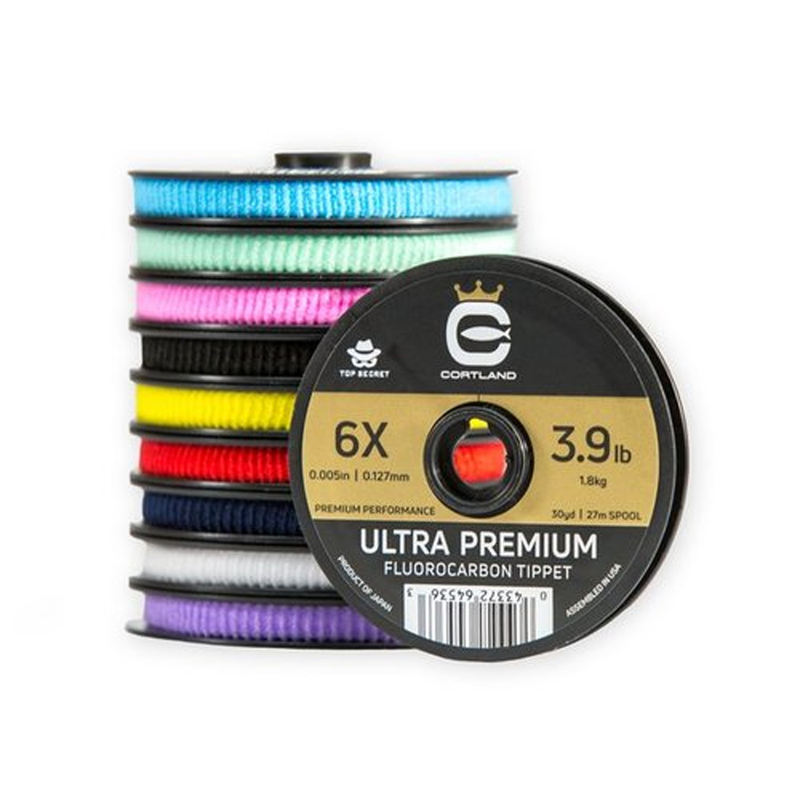 Now available, the Ultra Premium Fluorocarbon tippet is offered in sizes 0X – 8X in 30 yard spools. 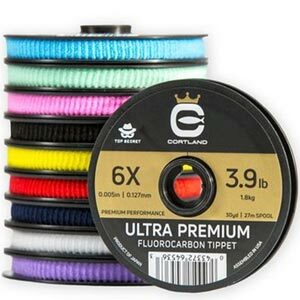 Cortland Ultra Premium Fluorocarbon Tippet just one of the amazing 'Premium quality Cortland fly fishing products' troutcatchers stock.